It's the ideal accessory for organizing your essentials and can be customized in almost any way you desire. 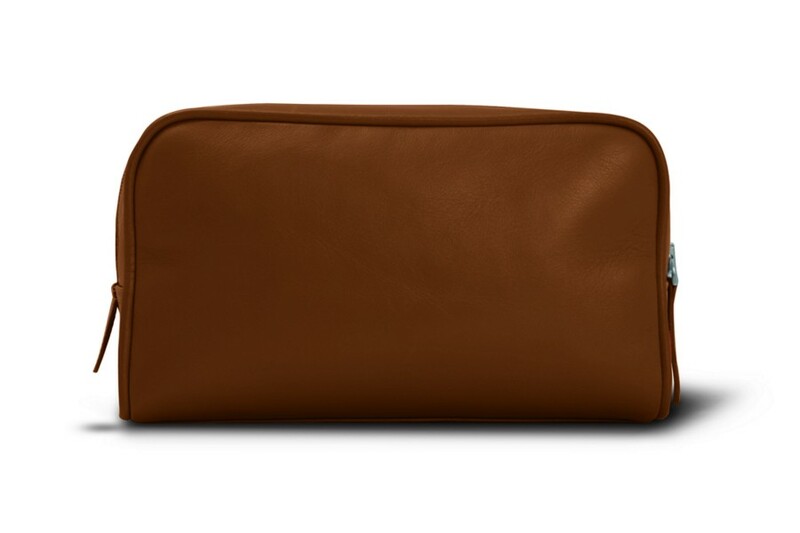 This leather toiletry bag makes the ideal companion for weekend getaways or business trips. 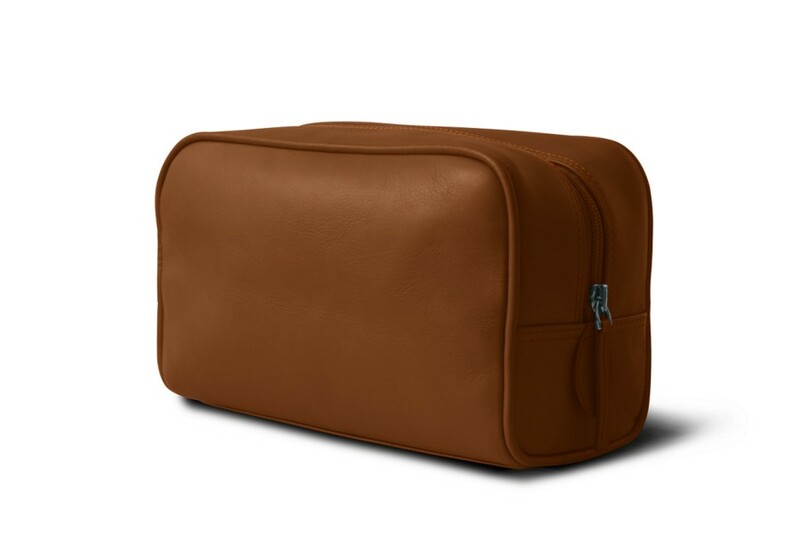 It holds all of your essential toiletries and fits easily into your suitcase. Having a relatively convenient volume, you can put in your absolute essentials, such as your toothbrush and basic make-up accessories. 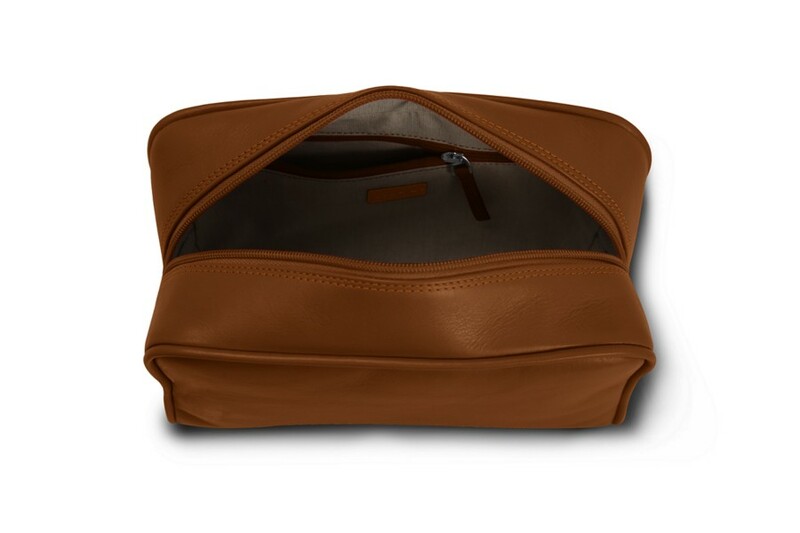 The toiletry bag also has an interior compartment in which you can slip in your valuables, for instance jewellery.